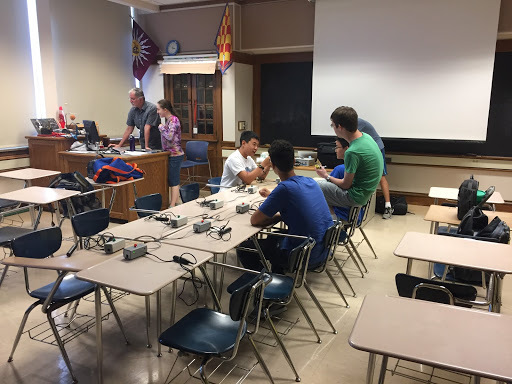 With the start of the new school year comes the start of the new season for many teams at Uni, including the Scholastic Bowl team. Ranked 23rd in the nation, the team is now heading into their 6th (and most promising) season with the goal of becoming the best team in Illinois and possibly clinching a national title, said captain Tim Cho. Last season, the team won two out of three state championships. This year, Cho and the other team members are hoping to win it all. However, their road will not be easy. There are three other teams in contention, including IMSA. The championships will be held next spring, so there will be a lot of time for the team to practice and prepare. Uni’s Scholastic Bowl team competitions will begin at the end of September with their first tournament. Scholastic Bowl is a competition for all students nationwide. A match consists of two teams of four competing to answer as many questions as possible. When a student believes they know the answer, they can “buzz” (even during reading of the question) and tell the judge their answer. Members of Scholastic Bowl are not required to know every fact. Most people specialize in two or three subjects. For example, Ethan Ashbrook, a member of the team, covers literature, philosophy, and religion. Bowman is a science and music specialist. Scholastic Bowl covers a large range of topics such as history, literature, science, sports, pop culture, current events, fine arts, etc . 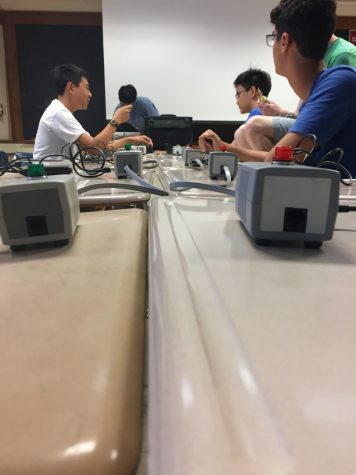 “There’s a thing in there [Scholastic Bowl] for everyone,” team member Maher Adoni said. “They do a good job of easing you into the structure,” Adoni said. Rankings were tabulated from a preseason poll conducted at the beginning of the school year. Since many voters were players and coaches from teams listed above, the rankings may be influenced by bias. Voters also drew on performances from the previous season, when Uni was ranked 35th and only placed 51st at nationals. It is important to note that Uni has defeated #15 Rockford Auburn and #19 IMSA in the past. However, these two schools are ranked higher because they have been top contenders at the state and national level for many more years than Uni has.